Celebrate Canada's 150th birthday with a contest! 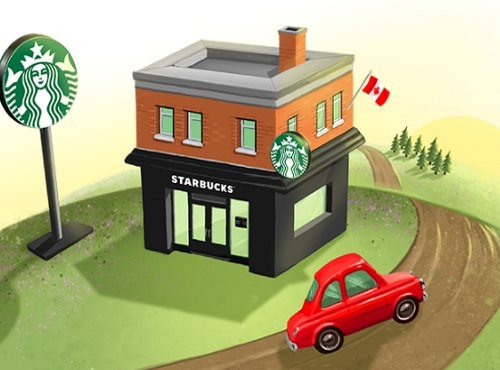 There are thousands of prizes to be won in Starbucks Road Trip Morning Edition contest! Sign into your Starbucks Rewards account to begin your countrywide road trip! Be sure to visit every morning, between 5 a.m. and 11 a.m., to travel the map, and earn Bonus Stars along the way. No purchase necessary to participate. To enter without purchase, click at the very bottom right hand corner at the link below. Fill out the form, then check your email containing a link to active your Free game play.